Express yourself, convey your message, and surprise through a unique gift to your loved one, friends, kids or parents. 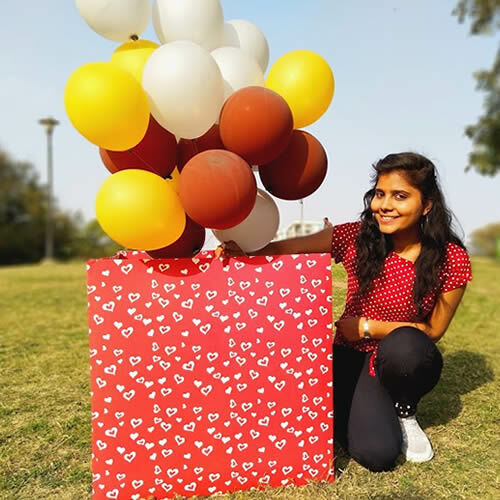 Gift Jaipur will send this special gift wrapped box, which when opened will have a flurry of cute balloons flying out. What will fly along is your message!!! 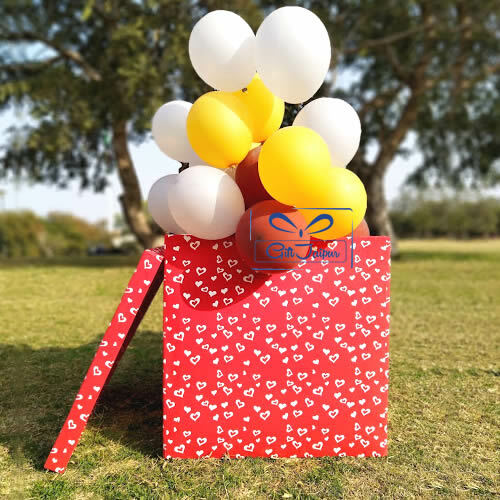 This is bound to bring a big cheer to the recipient and convey your message. We can also hide some nice gifts (chocolates, cake, teddy, flowers, etc.) to this box for you. 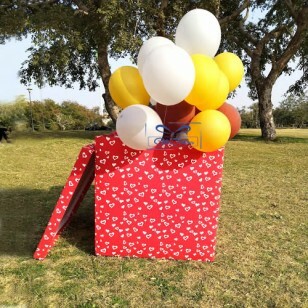 You can customize this gift by adding cake, flowers, chocolates, teddy, etc. For further customization please contact support. 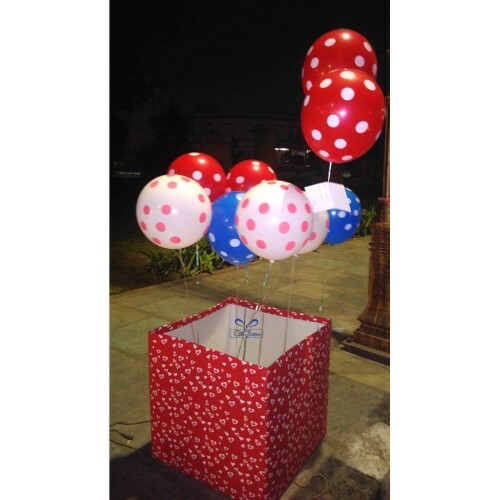 Delivery to your given address in Jaipur only. 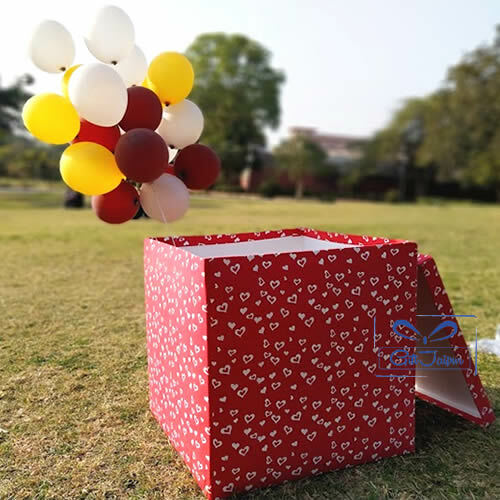 Gift this surprise balloon box to your special someone to express your emotions and deep love that can’t be expressed in words.